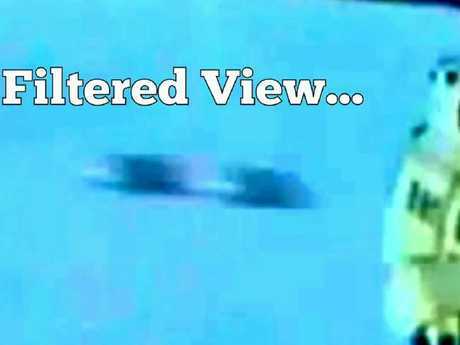 SPOOKY footage has captured two UFOs speeding past a helicopter, which was hovering over a crash site where survivors were being rescued. The silver disc-shaped objects were captured flying behind the military chopper by a local news crew off the southwestern coast of France. The startling footage from February 2014 has only just come to light after researcher Jason Gleave featured it in his new book UFO PHOTO, published by Flying Disk Press. A top researcher used the latest computer technology to analyse the footage. Jason Gleave, 46, who has studied the film using the latest computer technology, believes the objects are not drones or seagulls. 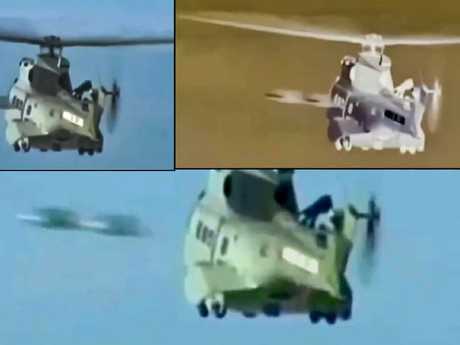 The former member of the RAF said: "Upon analysing the footage the twin objects pass to the rear of the helicopter at high velocity and dangerously close. "Other theories as to what they could be are possible drones or even birds, but unlikely drones because they would not normally operate in such a close dangerous proximity to the rescue helicopter, due to the volatile unpredictable weather conditions. "Upon closer analysis of the video frames the two objects stay together in flight, in a tight compact formation not deviating from each other." 'UFOs' pictured zooming past a helicopter in France. Nick Pope, who ran the Ministry of Defence's 'UFO desk' for three years, backed Gleave's research. He said: "Jason has been involved in researching and investigating UFOs and other mysteries (like many experts in this field, he uses the phrase 'high strangeness events' to describe a lot of this) for many years, but his particular area of expertise is imagery analysis. "Jason has skill and experience in carefully examining photos and videos, sorting out the fact from the fiction."